Solution Gives Designers, Software Developers, Architects and Operation Engineers Step-by-Step Directions for Quickly Conceiving & Producing LoRa End-Devices. 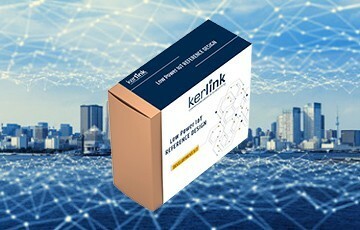 Kerlink and Kaertech, a global provider of made-to-order connected objects, today announced that Kaertech has licensed Kerlink’s Low Power IoT (LPIoT) Reference Design solution to design and manufacture LoRa devices for its customers. “Kerlink’s reference design solution is a complete package of hardware, software, tools and recommendations to prototype and produce cost-efficient final products in a very short time to market,” said Didier Larrieu, vice president – Kerlink Advanced Services Business Unit. “As a globally recognized maker of connected objects, Kaertech provides full turnkey services with state-of-the-art product design and advanced manufacturing services,” said company CEO Michael Bouffaut.